Towards the start of the second week we had a few bad weather days. It was a big change after the first week was filled with perfect sunshine (sweet) – we couldn’t really see much up on the mountain. 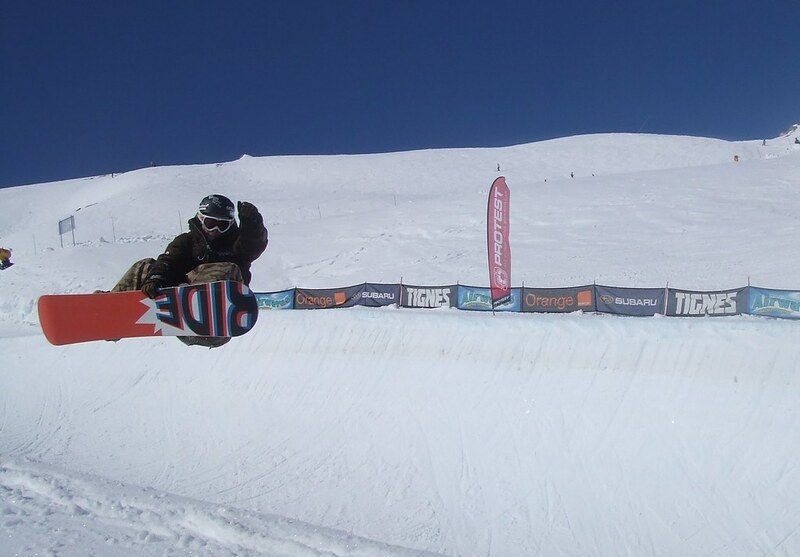 I’ve done a little halfpipe riding in the past so decided that I would try to improve things a little while the weather was bad. It was hard to see the walls clearly and the park maintainers didn’t put any paint (or whatever it is) along the coping… however the bad weather brought snow as well as poor visibility and that made the pipe softer than usual. 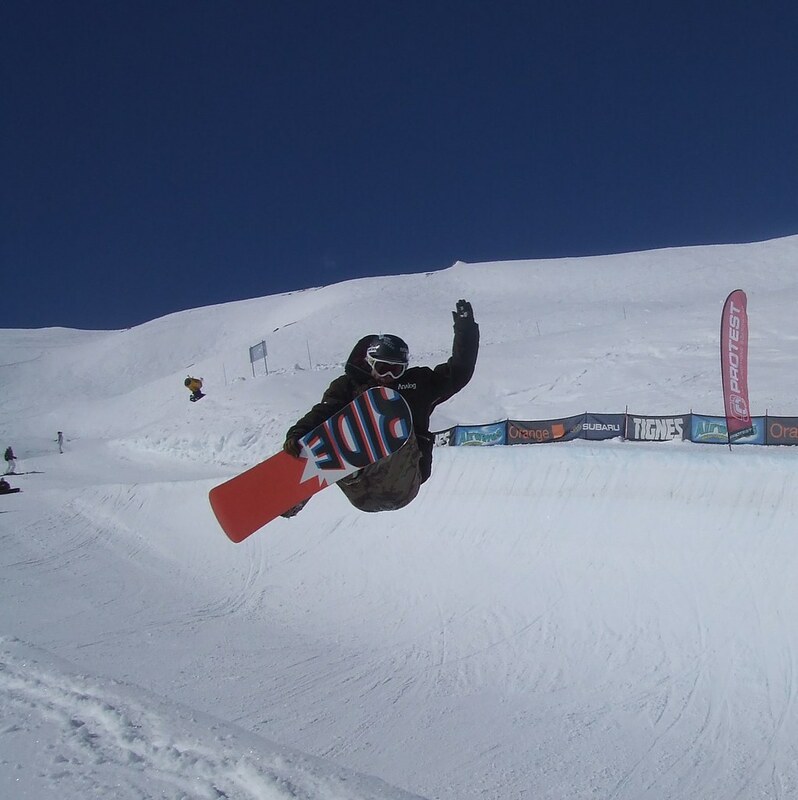 Actually, as well as being softer the halfpipe was also slower – I think these two things combined gave me a little more confidence and helped me to build some consistency up around the coping level. It was well cool, I had this huge, well shaped, halpipe, pretty much to myself. I spent two afternoons taking laps of the pipe, using this sketchy little rope tow. I ended up riding with a guy from Germany who was around the same level as me and I think that made me push myself more. I was waiting for the weather to get better because I was thinking “man, when I can actually see the walls I’m sure I can clear the top of the coping”. When the weather did brighten up Wilka volunteered to take some snaps of me… he got two really good ones (above and below). I got some video as well. I was so pleased! So – how high do you think I was going? Hey mate, did you mean “air” or “hair”? 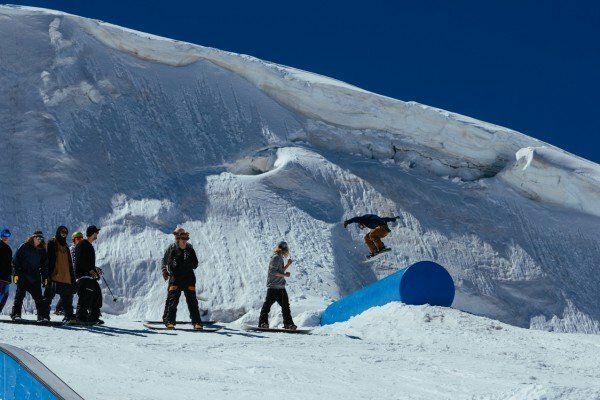 Are Snowboard Camps Any Good?